Electronic Mail and Access to DIALOG Databases Is All He Needs to Operate Consulting/Freelance Writing Business from a Bicycle. 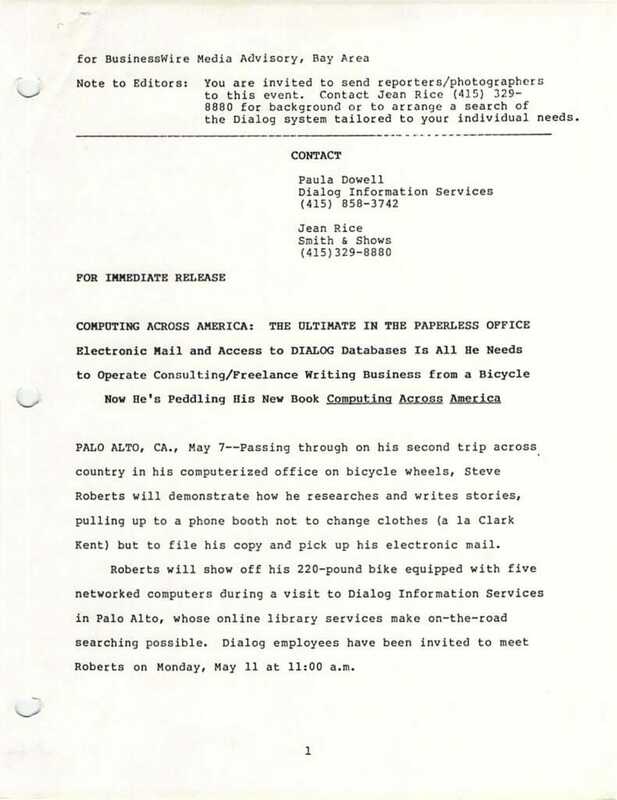 PALO ALTO, CA., May 7—Passing through on his second trip across country in his computerized office on bicycle wheels, Steve Roberts will demonstrate how he researches and writes stories, pulling up to a phone booth not to change clothes (a la Clark Kent) but to file his copy and pick up his electronic mail. Roberts will show off his 220-pound bike equipped with five networked computers during a visit to Dialog Information Services in Palo Alto, whose online library services make on-the-road searching possible. 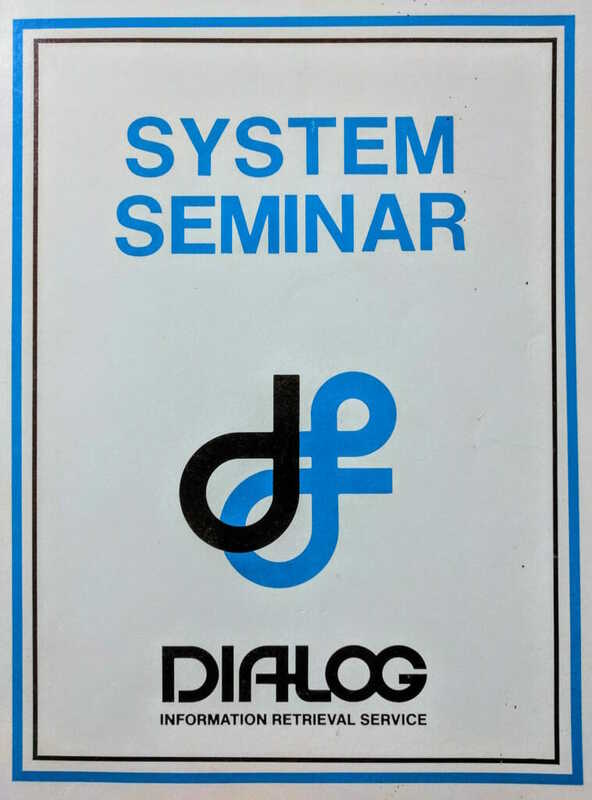 Dialog employees have been invited to meet Roberts on Monday, May 11 at 11:00 a.m.
Roberts’ new book, Computing Across America: The Bicycle Odyssey of a High-Tech Nomad is scheduled for release in June. 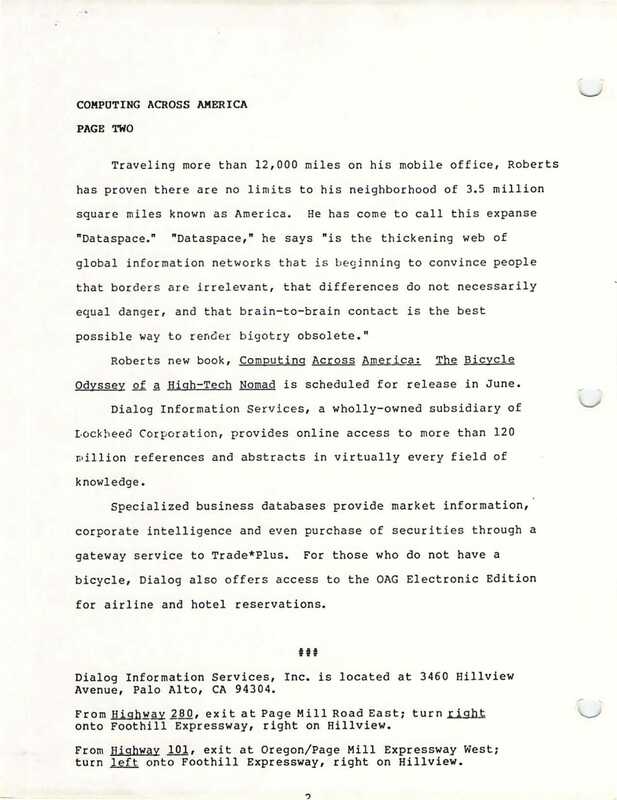 Dialog Information Services, a wholly-owned subsidiary of Lockheed Corporation, provides online access to more than 120 million references and abstracts in virtually every field of knowledge. Specialized business databases provide market information, corporate intelligence and even purchase of securities through a gateway service to Trade*Plus. For those who do not have a bicycle, Dialog also offers access to the OAG Electronic Edition for airline and hotel reservations.